The physical and chemically soundness of the enamel depends on the pH and the saliva consisting of calcium phosphate and fluoride. 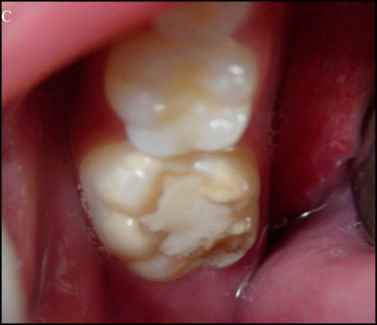 Caries lesions develop with the fermentation of carbohydrates by bacteria's, the formation of organic acids and the pH decrease. The critical pH value for the enamel is pH= 5.5 and when the oral pH decreases below this value, the bands between the fibrils and apatite of the enamel dissolve and the inorganic structure is affected (Axellson, 2000). In a study (Mcgucking et al., 1992) the enamel surface of bleached teeth were examined with a scanning electron microscope and a profilometer. The results showed that the enamel surface was affected by different concentrated bleaching agents, but these differences were not related with the pH values of the agents. When Tezel et al (Tezel et al., 2011; Tezel et al., 2007) measured the pH values of the bleaching agents used in their study with a pH meter it had been found that the pH was approximately 8 for each group. The pH values of bleaching materials were almost similar in the study, but the Ca2+ losses of the groups were found to be different. For this reason, they postulated that the pH values of the bleaching agents might not be effective on the Ca2+ loss of the groups and that the results were compatible with the study mentioned above.